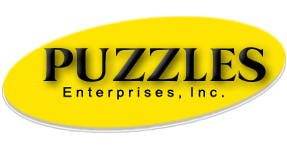 Puzzles Enterprises is a front runner for your company’s opportunistic buys. In this economy, being price conscious is a must for every size retailer. Puzzles strives to offer quality branded and non-branded merchandise and below wholesale discounted pricing. Listening to our customer’s comments, analyzing market trends, our plus division offers modern and “on trend” styles with mixed fabrications, seasonal prints, and novelty trims. Puzzle’s carries a large inventory of family apparel to help with all your needs. In stock seasonal items for quick shipping, as well as, future deliveries to help keep your inventory fresh and flowing.Puzzles has built and maintains long standing relationships with the manufacturers and suppliers. Our buyers are always in the market working to bring you the best styles and prices. We value the loyalty of our long-standing customers and look forward to earning the same from our new customers.